In Massachusetts, you don’t have to play for the Bruins to lose a tooth to a puck or an inadvertent high stick. Many a pond or flooded backyard around Newton turns into hockey madness this time of year and with them the occasionally lost tooth. At Cosmetic Dentistry Center, we believe dental implants are far and away the best option for replacing that missing tooth. 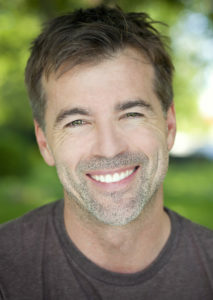 Dental implants have become a standard dental improvement over the past 15 years or so. This makes people think implants are a new thing. Truth be told, dental implants in one form or another have been around quite awhile. Since Drs. Walk, and Bamel works with implants on just about a daily basis, let’s share with our blog readers some background on these sturdy dental prosthetics. Where did dental implants come from? Sure, modern dental implants with their titanium base and all seem very new and modern. But humans have long tried to make up for missing teeth, giving different replacement methods a go. Archeological digs have unearthed implanted seashells and ivory in the jawbone of ancient Mayans and Egyptians. Who wouldn’t want a cochina shell sitting in there between their natural teeth? A quick trip to Marblehead could get us all we need! OK, those were pretty ancient attempts. The implants we use today, aren’t quite that old. The modern implant can be traced back to 1952. Swedish orthopedic surgeon, Per-Ingvar Branemark, was studying bone healing and regeneration. He inserted a titanium screw into a rabbit tibia to mend a break but found that when he tried to remove the screw later the bone had fully grown around it and it couldn’t be removed. A decade of research followed and the modern dental implant debuted in 1965. At Cosmetic Dentistry Center, we believe dental implants are the best solution to replace missing teeth, whether it is a tooth that is already gone or a tooth that is so badly damaged or decayed that it requires extraction. Most of us know someone who has opted to not replace a missing tooth. What’s the big deal? The big deal is the alignment of your teeth because when you don’t replace a tooth the teeth on each side tend to slide over into the gap, messing up your alignment and your bite. And that bites! Once in place, implants function like natural teeth, transferring the energy from biting and chewing down into the jawbone beneath the artificial tooth. This stimulation is responsible for the jawbone continually renewing itself, a process that prevents bone loss. Are you missing a tooth or two? Call us at Cosmetic Dentistry Center, 617-965-7673, and let’s talk about placing a dental implant.